As America and the world rebuild after the events of Harbinger Wars II, a new threat has begun to emerge. This new threat lead by the sinister Imperatrix Virago who is a necromancer that feeds on an entire planet’s ecosystem. Her goal is to take over Earth and feed on the ecosystem as well as terraform the planet. While Virago makes her way to Earth using the Deadside as a gateway, the Eternal Warrior is looking after and training a young Geomancer to protect the planet. Gilad and his charge are attacked by Virago’s army and Gilad ends up being victorious but that victory comes at a terrible cost. As America and the world rebuild after the events of Harbinger Wars II, a new threat has begun to emerge. This new threat led by the sinister Imperatrix Virago who is a necromancer that feeds on an entire planet’s ecosystem. Her goal is to take over Earth and feed on the ecosystem as well as terraform the planet. While Virago makes her way to Earth using the Deadside as a gateway, the Eternal Warrior is looking after and training a young Geomancer to protect the planet. Gilad and his charge are attacked by Virago’s army and Gilad ends up being victorious but that victory comes at a terrible cost. 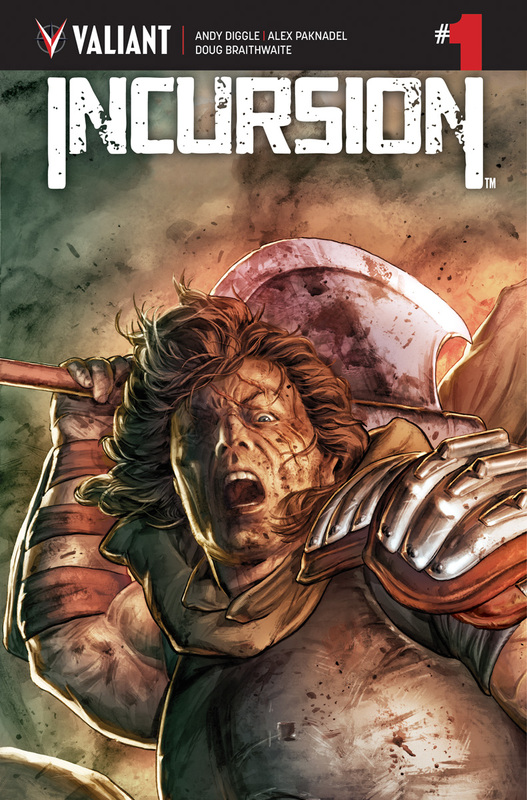 The story for Incursion #1 is a straightforward alien invasion story with a twist. The twist being that the aliens use the Deadside to move from world to world and that the Eternal Warrior is the main hero of the tale. Writers Andy Diggle and Alex Paknadel lay the groundwork and start to build the stakes of the story. Not only is the Earth at stake but the life of Tama the Geomancer is as well. Gilad takes the responsibility of protecting and training his charge in all seriousness. He is willing to die for her so that she may not only save herself but save the world. Diggle and Paknadel also do a wonderful job of introducing the main villain very early on and helps drive home the stakes of the event. They show how ruthless and menacing Imperatrix Virago is and the lengths she is willing to go through to achieve her goal. While it is nice to see a villain like this in the Valiant Universe, she reminds me too much of Thanos from Avengers: Infinity War. It seems like Virago’s goal is almost exactly like that of Thanos and at times it took me out of the story. I found myself comparing her to the Mad Titan way too much that I started to want to see her less and less. I do like this character but she just seems way to close in comparison to Thanos. Hopefully she will come into her own in the next issue. As always the art by Doug Braithwaite is on point and does a great job of not only capturing the tone of the event but the stakes as well. The panels are a joy to look at and the characters and locations are beautiful. Braithwaite as did an amazing job of designing Virago and her army to make them look as menacing as ever. Even the fight scenes are a joy to look at. In these sequences, the reader gets the chance to see Gilad in action and it does not disappoint. My favorite panel of the book comes when an envoy of Virago’s arrives on Earth and she is greeted by a blue jay. It doesn’t do much to drive the story but it is still my favorite panel. All of these aspects that I stated earlier show how Braithwaite is the perfect artist for this series. Incursion #1 starts the slow build to what could become the best event that Valiant has done. 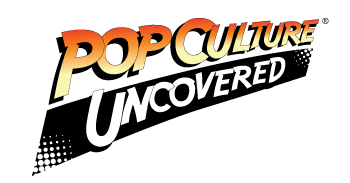 It not only continues to world build on the current state of the Valiant Universe but starts to carve its own path.